On September 28th, the Postal Savings Bank of China (PSBC) (1658.HK) finally made its IPO debut in Hong Kong after a lot of speculation. The Bank of Harbin was granted a license to set up its consumer finance company, Hayin, on September 19th. The bank owns 59% shares of Hayin’s equity with paid-in capital RMB295 million ($44 million). It is another consumer finance license which is issued by the China Banking Regulatory Commission (CBRC) to a company that has a banking background. China's internet finance, or fintech, sector has had a busy couple of years as the industry has developed to be a critical part of the financial industry as a whole. Yet, the developments have been somewhat imbalanced. While areas like digital payments and asset management grew and matured, others like credit scoring fell behind. On September 9th, China's National Internet Finance Association (NIFA) finally launched their digital Credit Information Sharing platform, which really brings credit scoring into the fintech fold in China. 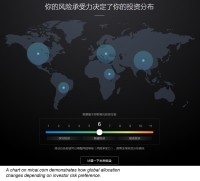 Is Alibaba's Finance Cloud the future of banking in China? In July, China released the second draft of its Cyber Security Law, just a year after the release of the first draft. On one hand, many of the key terms listed will have to be better defined before it is possible to draw definite conclusions about the implications of the Law. On the other, it is already clear that the Law makes it harder for foreign technology companies to conduct business in China, and this will likely be the case for financial institutions too. Specifically, the second draft does that by expanding and blurring the scope of the regulation, giving authorities broader access to information systems and raising data localization requirements. Can the funding boom for China Fintech companies persist? Fintech companies in China are raising investor eyebrows this year, with such firms breaking global fund raising records. Even as the amount of venture capital flowing into China has slowed from its peak in 2015, data compiled by KPMG Enterprise and CB Insights show investors are still bullish on the fintech industry. The money invested into China’s fintech sector reached a record high of $2.4 billion in the first quarter of the year, the consultancy said. This amount was boosted by deals into two of China’s so-called tech unicorns: Chinese P2P lender Lu.com and JD Finance. China Internet Finance - what's in a name? Fintech in China started as 'internet finance' or 互联网金融. As the first real China fintech giants tended to come from internet finance platforms, like P2P lenders or financial distribution platforms, the name seemed to make sense, so the term 'fintech' was rarely used. However, today, we're seeing an interesting phenomenon in China as more firms are transforming their businesses to be more 'fintech focused', but what does that actually mean? Is fintech different than internet finance? And more importantly, why now? Automated advisory platforms, or Robo-advisors, have shaken up the finance industry in many parts of the U.S. and Europe. China's wealth management industry is now the next in line to receive such a boost. Last week, the China Insurance Regulatory Commission (CIRC) issued a new scheme for evaluating risk in online insurance. Aimed at providing consistent development of the industry and ensuring proper risk management, the scheme is focused on the business model and operations of internet insurance companies. Companies offering life insurance, financial insurance, and other insurance areas are all covered by the new supervisory scheme. The review will take place in three steps, carried out over the course of five months. Although China’s newly issued April export/import data may be worrying on its face, when examined from a different angle, it may tell a more positive story. In China this year, over 3,700 billion RMB (about 570 billion USD) worth of domestic debt will expire, a record-breaking amount. Many companies will face difficulty in rolling the debt over because of the limited size of the whole bond market. Even if just a small percentage of the whole market defaults, the amount defaulting would still be so large, it could start a crushing storm for an already vulnerable Chinese economy. Many defaulting state-owned companies are from sectors in difficulty as China slows, such as mining and heavy industry. This makes the possibility of default more likely to happen. And in the environment of a slowing debt market, things will probably get worse.